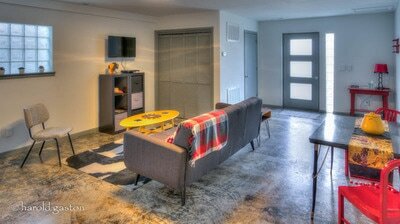 A value most sought after in architecture is that of being multifaceted, both in the profession and in the character a structure emits. 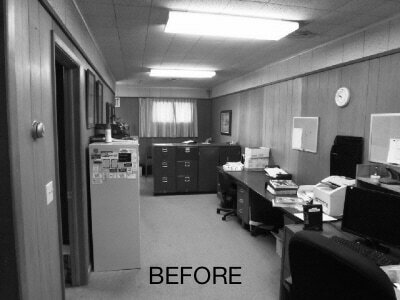 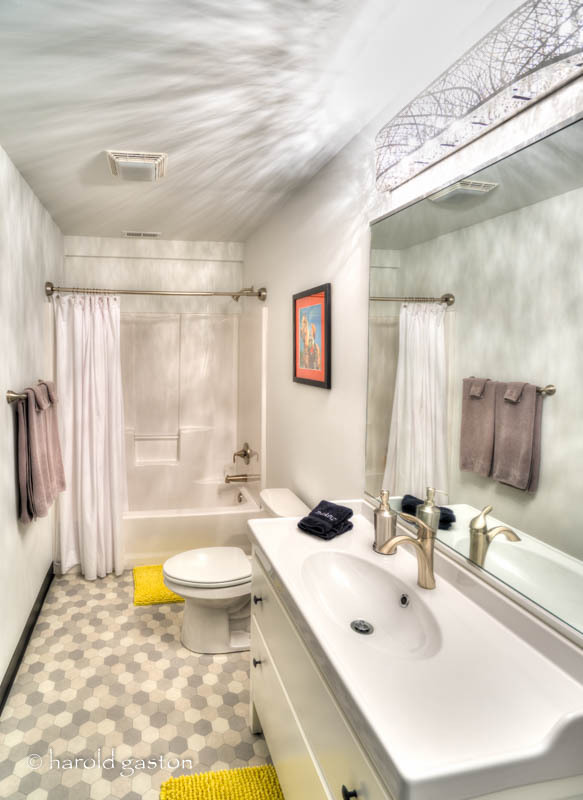 Form and function is mantra so popular even those outside of the profession frequently use it. However, this design “guideline” is not enough. The Wash-O-Rama in Cottonwood Falls, Kansas exemplifies the expansion of this guideline and manifests itself as a multifaceted design. 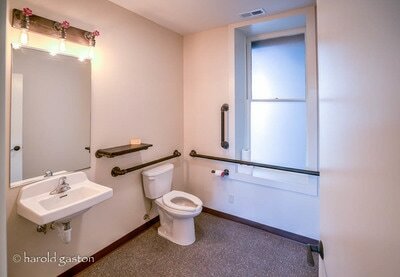 To appreciate the project an understanding of the community and the existing conditions is essential. 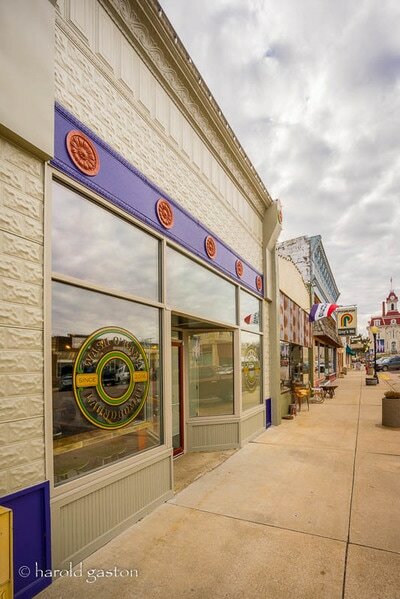 The existing building was part of a historic downtown within the cultural landscape of the Flint Hills. The façade had been replaced in the 1970’s with a flat vinyl panel system. 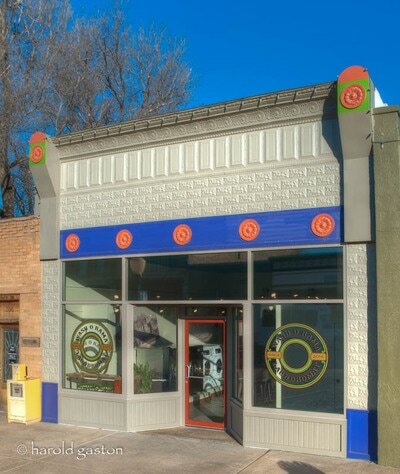 Two small windows, a door, and a flat awning was all that adorned the blue vertical plane. 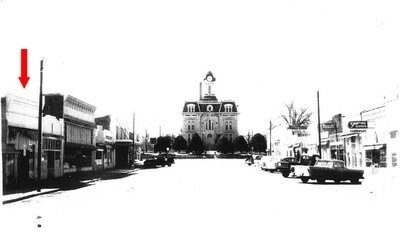 Cottonwood Falls is small town of less than 900 people with many visitors from around the state. The owner of the project learned this area was in need of laundromat through doing city surveys. Not only did many of the tourist accommodations lack a laundry service, many in the community did not have their own washer and dryer. 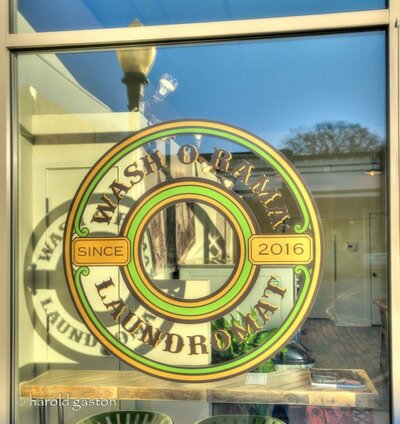 Putting together the need of a laundry service and an appreciation for historic Kansas buildings, the Wash-O-Rama needed to be design with care to preserve and improve the local fabric of historic downtown Cottonwood Falls. 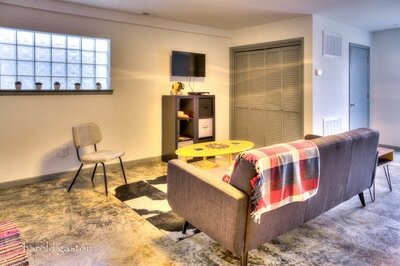 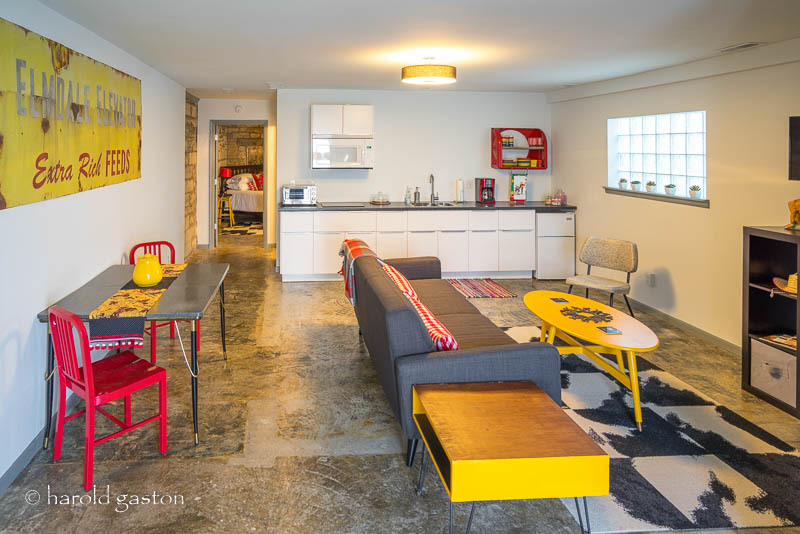 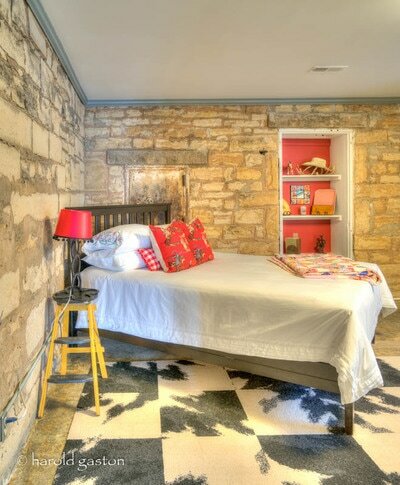 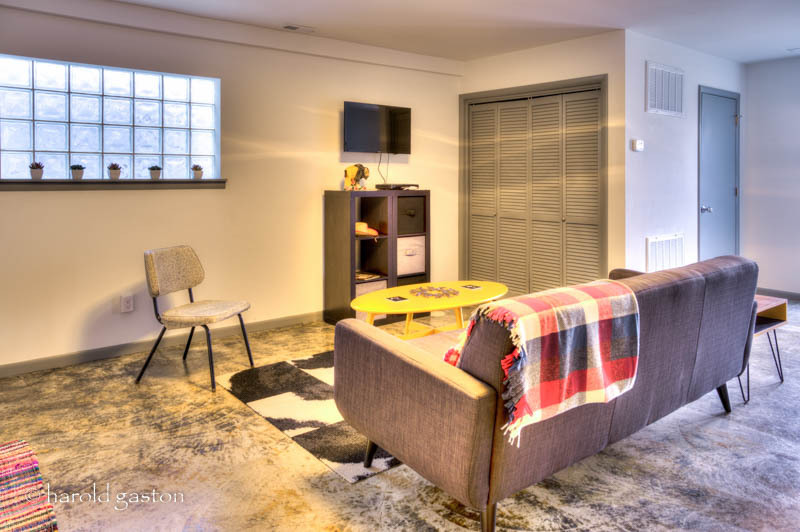 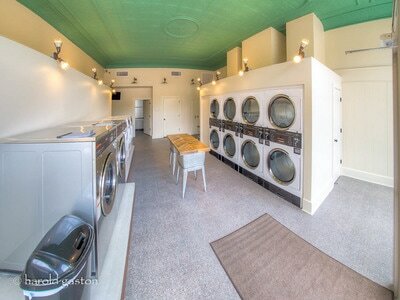 Ben Moore Studio worked with the owner to create a design consisting of a laundromat and a guest room. The 1970’s façade lead the owner to the idea of a mid-century modern feel, hence the name “Wash-O-Rama”. 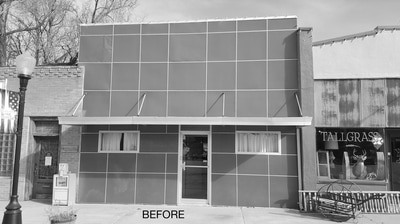 Once the façade and drop ceiling were removed it was clear there was a huge potential for something other than was initially intended. While being sensitive to the character of buildings built around that time period (1892) the design started to take on an interesting design combining its 19th century historic bones and 20th century mid-century modern memory the community had. The new façade was designed with a traditional storefront system and bulkhead. The vinyl panel system was replaced with decorative metal panels mimicking local limestone, a local building technique present in the area during the 19th century. 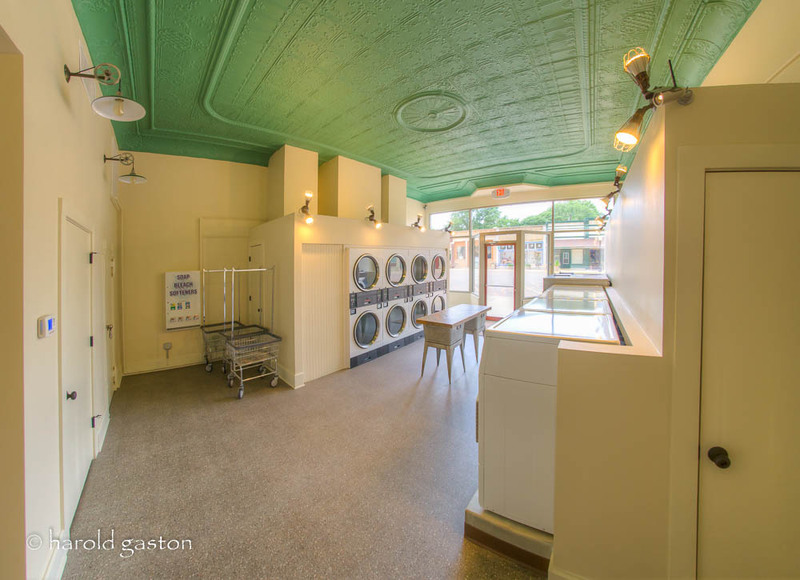 The pressed tin ceilings were maintained and painted a vibrant copper patina green. Bold colors were chosen to invite the community in as this was a placed designed for them. 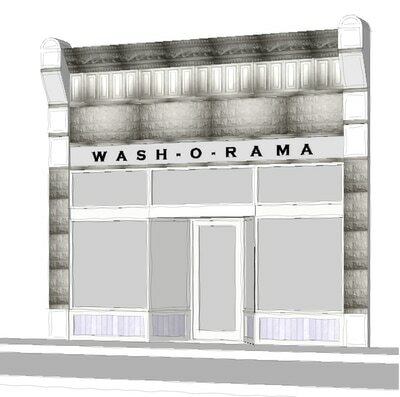 Currently the Wash-O-Rama has been serving as a community meeting point. The addition of a public restroom and wifi have made the space invaluable during downtown festivals as this is not readily available within the rural community. Events including Kansas Trivia, Soap Opera, and Bronco Brunch bring members of the community as well as visitors to the central location to meet before events and just to enjoy each other’s company in a great space. 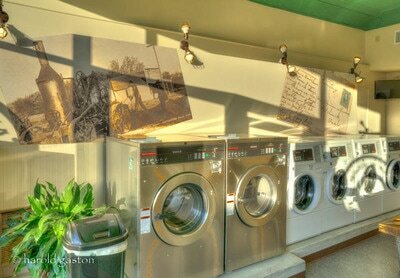 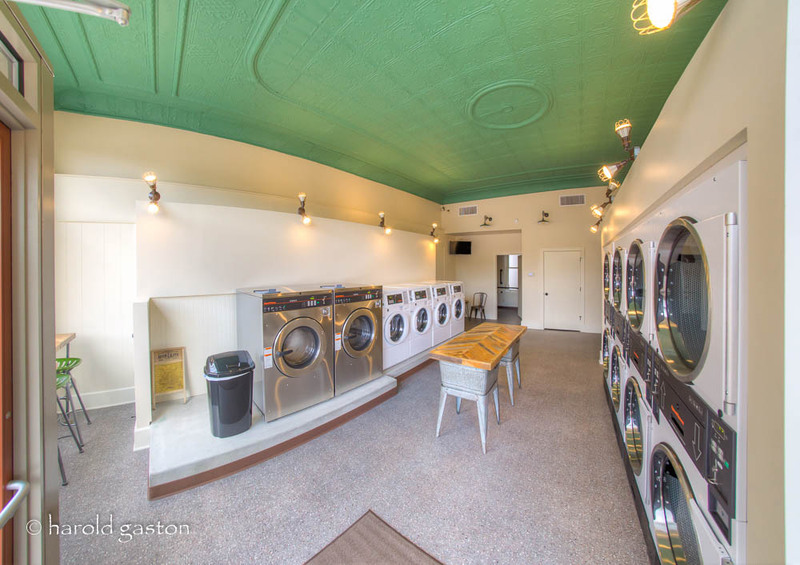 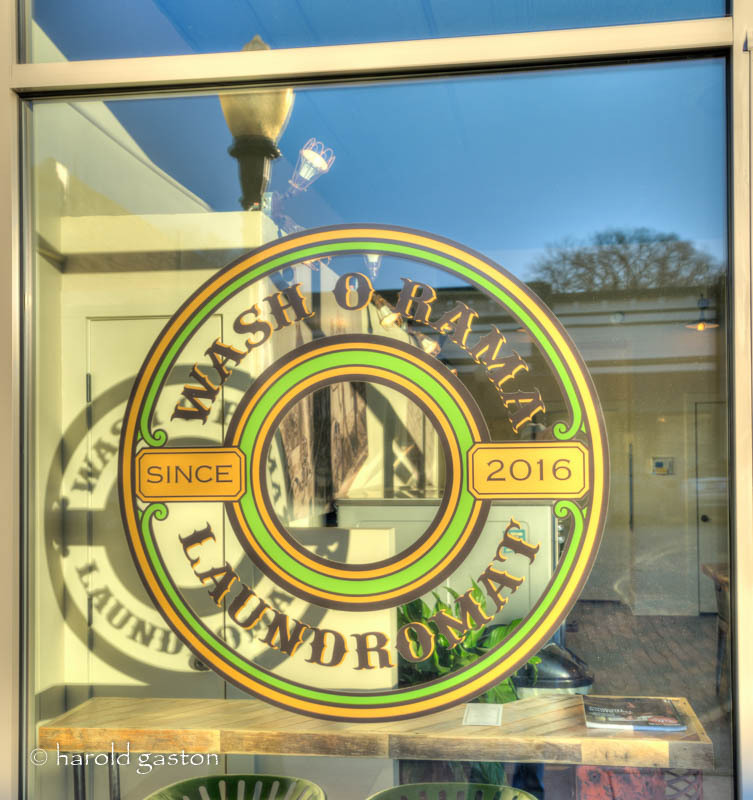 The Wash-O-Rama is a beautifully restored historic building that and much more than a laundry facility. 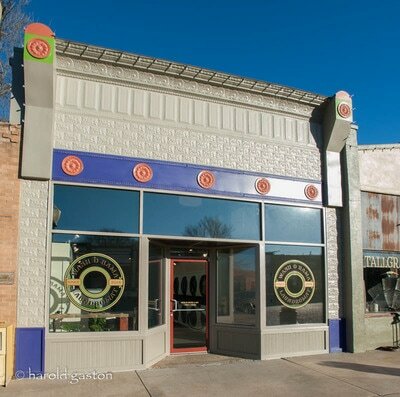 It is a multifaceted place for the community of Cottonwood Falls and the visitors of the Flint Hills.